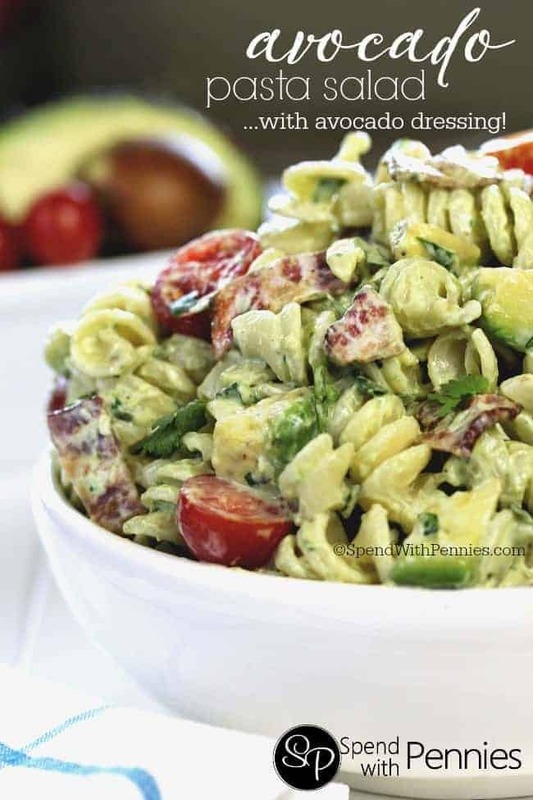 Cobb Pasta Salad is the perfect summer meal alongside a cold refreshing glass of iced tea! 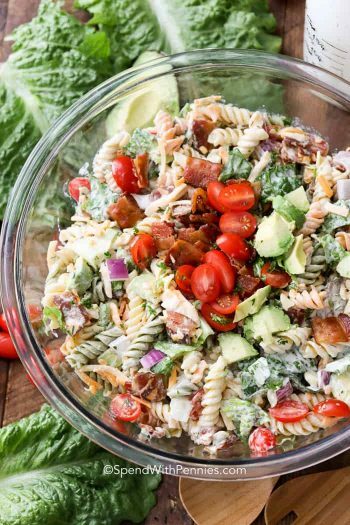 Loaded with juicy tomatoes, crisp bacon, avocados and cheese, this pasta salad can save the day at dinner time or be the star dish at any picnic or potluck spread! I’m not sure about you, but I’m loving that I can finally soak in some sunshine, send my daughter outside to play and harvest veggies from my garden! Summer is a time for fresh air and enjoying being outside instead of fussing around in the kitchen all day long. 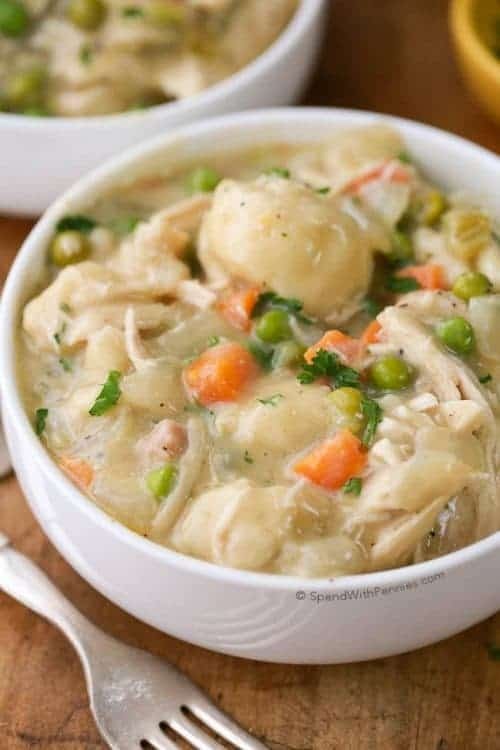 I really try to keep meals simple and since it gets so hot here in the afternoon and early evening, I like to prep ahead as much as I can. 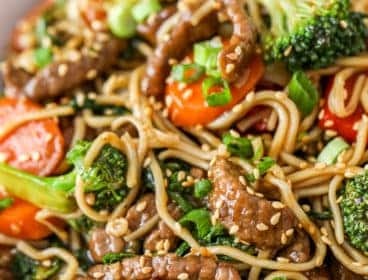 Pasta salads fit the bill perfectly! 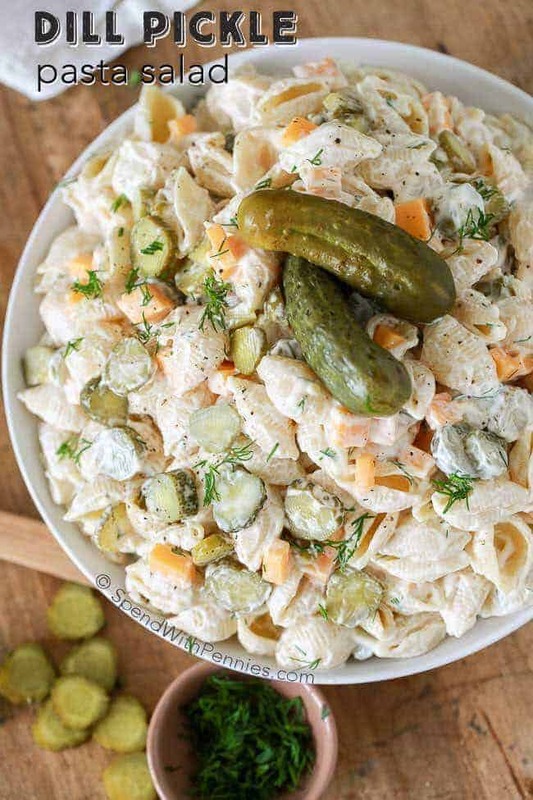 Everyone loves a good pasta salad recipe, and even better, this recipe can be made well ahead of time, doesn’t take a ton of work and keeps in the fridge for days! 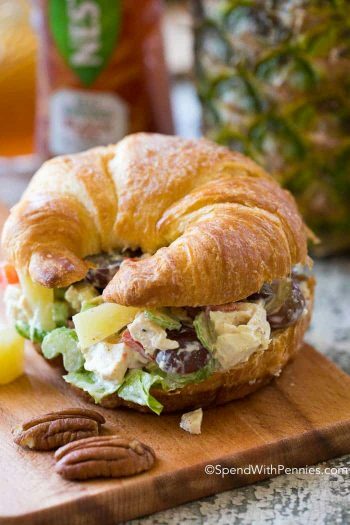 The perfect meal to enjoy while sipping on a NESTEA Iced Tea! 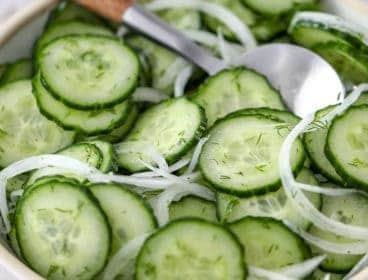 As much as I love a great pasta salad (especially Dill Pickle Pasta Salad), I love a fresh garden salad too! 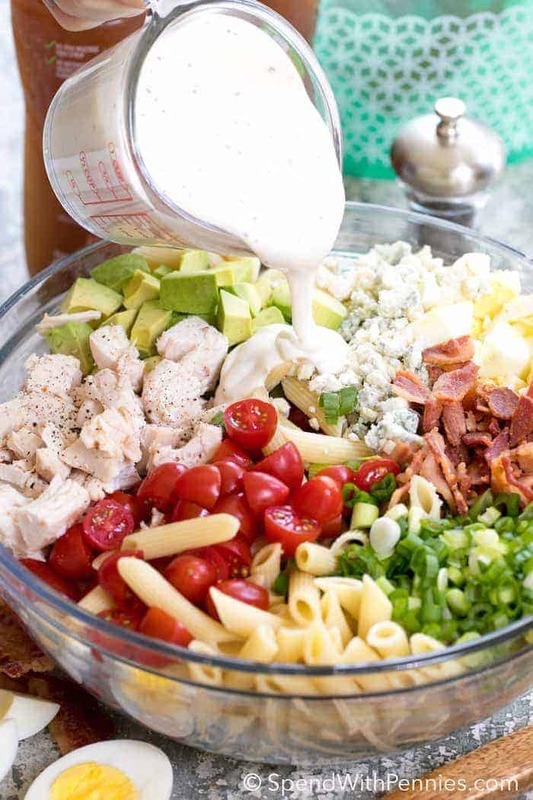 Cobb salad is a favorite around here since I love pretty much every single thing in it … bacon, avocado, cheese, boiled eggs all tossed in a creamy dressing… what’s not to love! 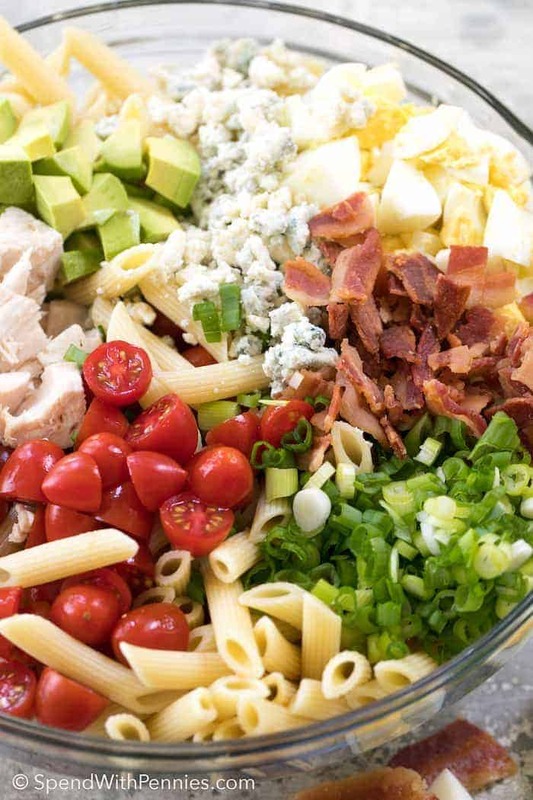 In fact, Cobb Salad has been wildly popular for about 80 years and has become an essential summer salad recipe! 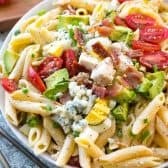 Last week I was going to whip up a pasta salad and I knew the flavors of a Cobb Salad would be amazing as a Cobb Pasta Salad… I was right! 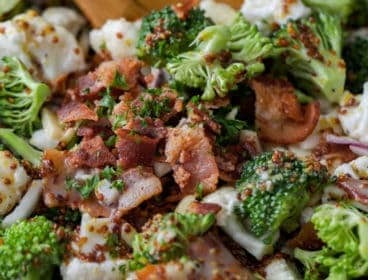 To make this extra quick, I usually buy a salad dressing in either blue cheese or ranch but if time allows (and your garden is overflowing with herbs) you can use my homemade buttermilk ranch dressing recipe. 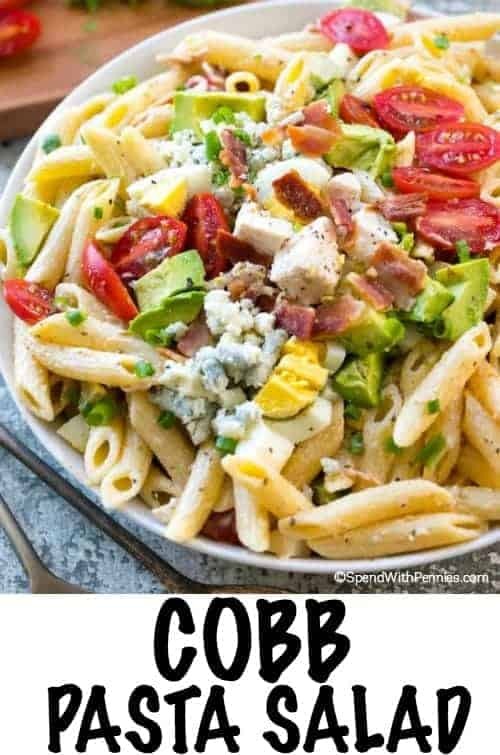 A fun little trick to always remember exactly what to put in your Cobb Salad lies in the acronym EAT COBB; Eggs, Avocado, Tomatoes, Chicken, Onion, Bacon and of course Blue Cheese! 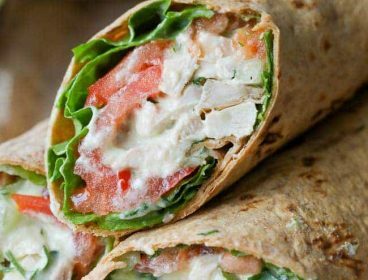 (If blue cheese isn’t your thing, you can use feta, swiss or sharp cheddar). 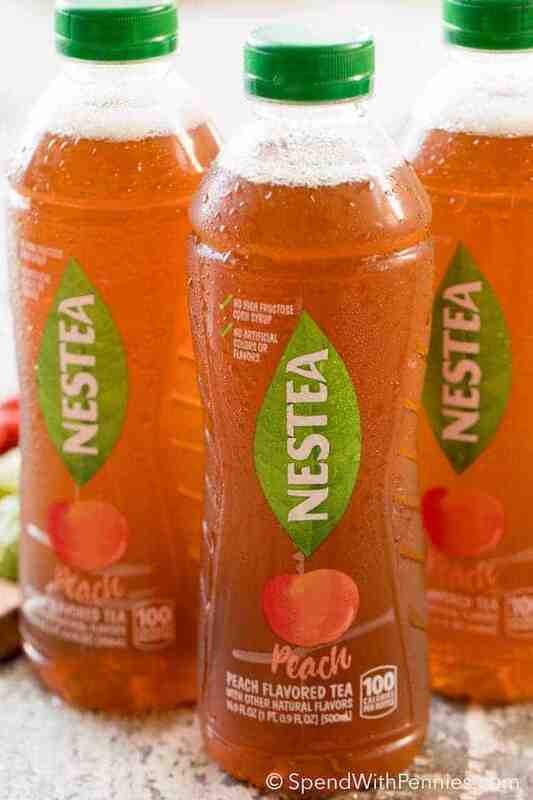 We love to sit out on the deck, grab frosty bottles of NESTEA Peach Tea and enjoy our meal on a warm summer evening. 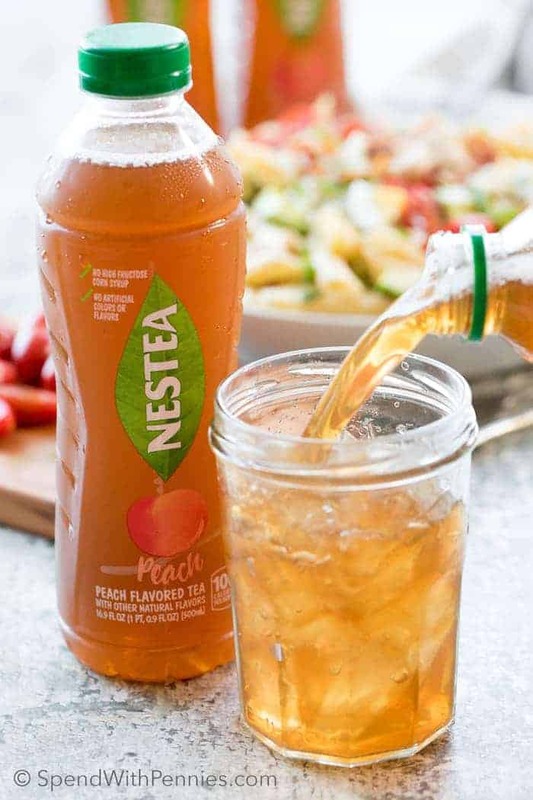 If you haven’t tried NESTEA Peach Tea, it’s delicious… refreshing and just the right amount of sweet with a summery peach flavor. 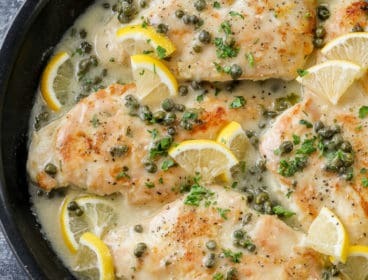 Perfect alongside ANY pasta salad recipe! 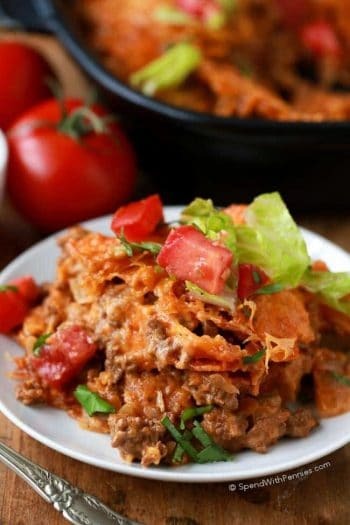 You can also find more great Simple Solutions here including lots of quick and easy recipe ideas plus a chance to win a three day trip for two to Vail, Colorado, $500 cash, and a supply of Nestea products (enter here)! 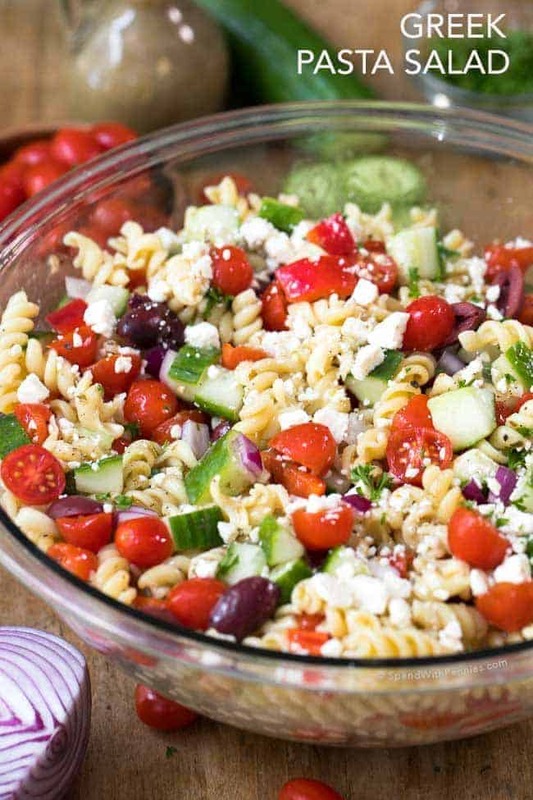 Ok back to the pasta salad… here are a few tips to make sure you always have the absolute PERFECT pasta salads! Cook your pasta al dente (firm) according to package directions. Over cooked pasta = a mushy salad. 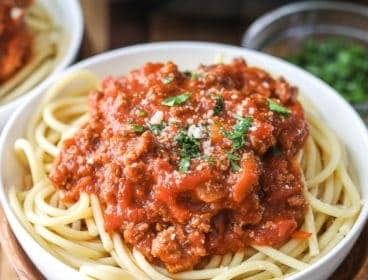 Salt your pasta water. Don’t skip it, it makes a difference! If your pasta salad is being made ahead of time, add extra dressing. 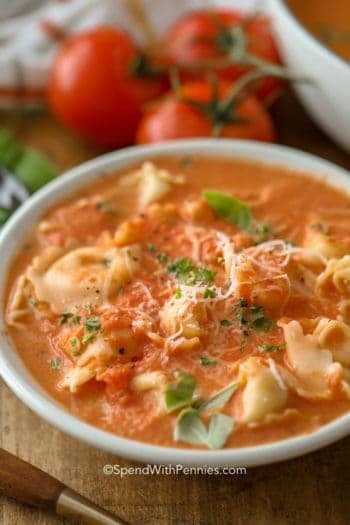 The pasta will soak up dressing and if you don’t have enough it’ll seem dry. Save a little bit of each “add-in” to garnish the salad. 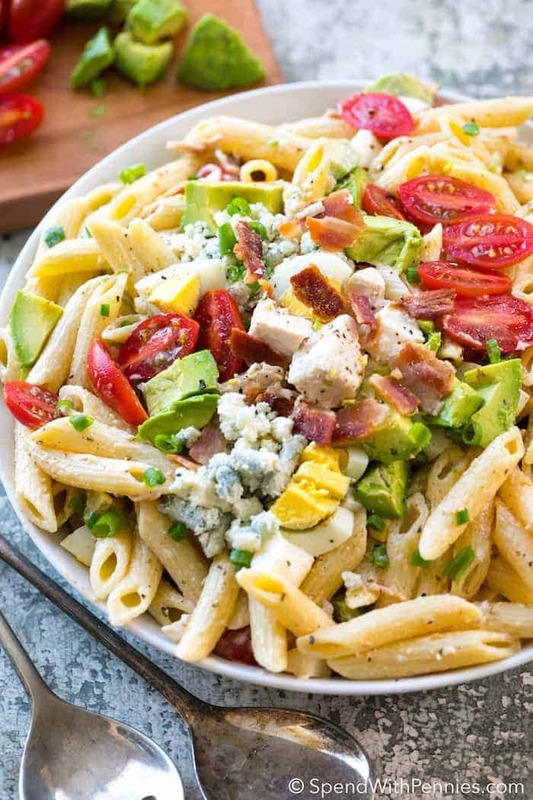 The creamy avocado, bacon, soft eggs and ripe juicy tomatoes that taste like the summer sun and the heartiness of penne pasta create a salad that I could eat almost every day! 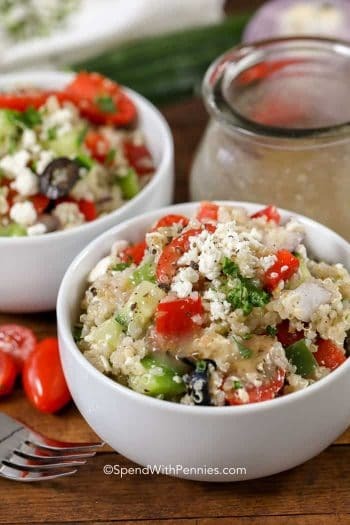 When this delicious Cobb Pasta Salad is paired with a NESTEA Peach Tea, it tastes like all of the great flavors of summer have been captured and are waiting to be savored! Cook pasta al dente according to package directions. Run under cold water. Add dressing and gently toss to combine. 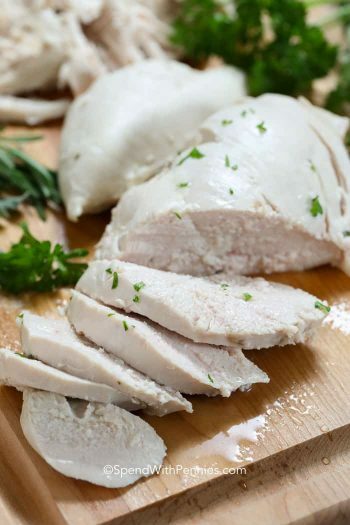 Serve immediately or refrigerate for up to 48 hours. This is a sponsored conversation written by me on behalf of Nestea. The opinions and text are all mine.